April is going to be a very exciting month! First, the film will have it’s San Francisco debut at the 2010 San Francisco International Sitar and Tabla Festival. This day-long festival starts up at 8am and along with the screening will feature listening sessions and live performances from some incredible artists. The film will be shown at 10:00 am and will be followed by a Q&A with me (Andrew Mendelson) immediately afterward. 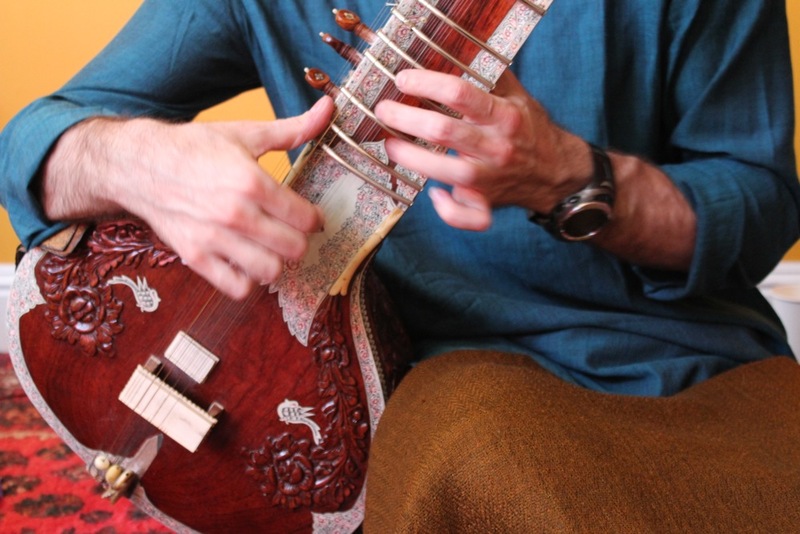 Then at 2pm I will have a sitar performance accompanied by celebrated tabla player, Dr. Michael Lewis. A full roster of is available on the festival flier. For more information about the festival, visit the Sangati Center website. You can order advanced tickets online at Brown Paper Tickets. Festivities continue on Monday, April 19th at the Freight and Salvage Coffeehouse where sitarist Srinivas Raddy and I will lead a sitar music workshop from 6pm-9pm. Anyone interested in learning more about the instrument and how to play it are encouraged to attend. You can register for the classes on the Freight and Salvage website. Finally, on Tuesday, April 20th I will host a bonus screening of A Cricket in the Court of Akbar at the Landmark Theaters Opera Plaza Cinema. The screening will start at 8pm and will be followed by a brief Q&A. I hope you can make it!